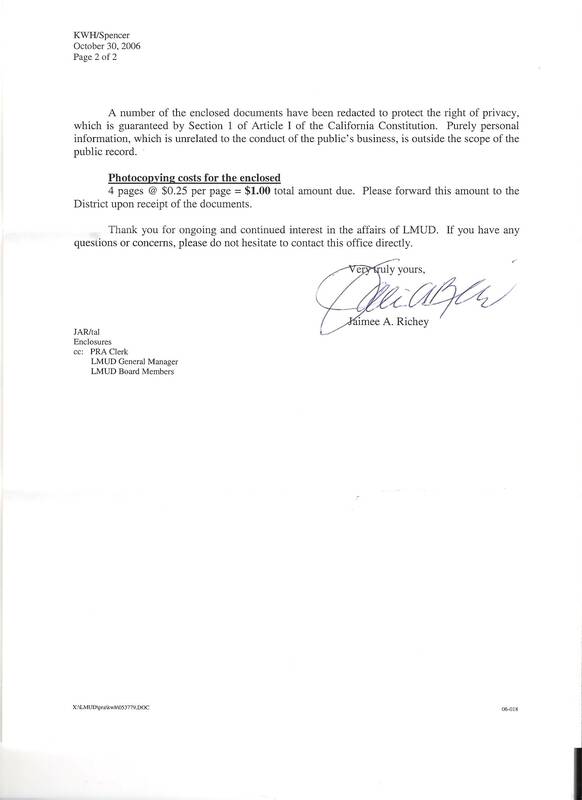 Richey refuses to disclose March Expenses for LMUD Board, Frank Cady and herself. 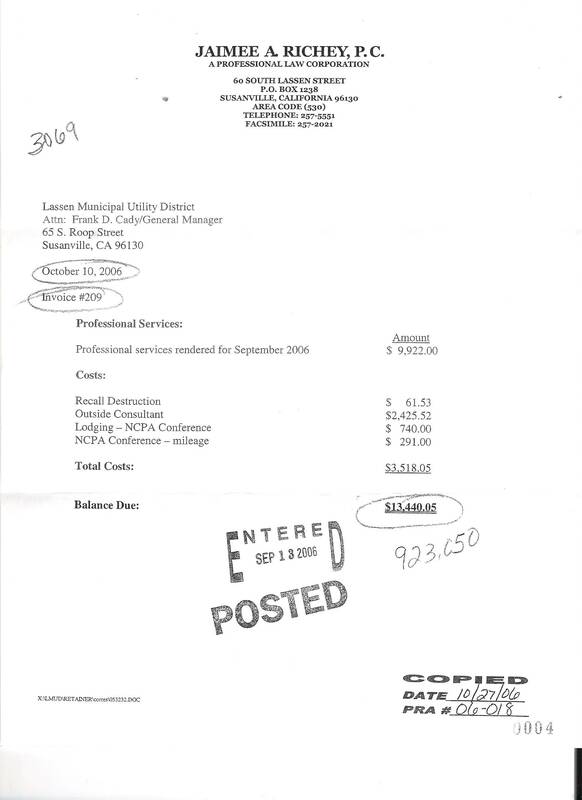 Are they hiding: abuse of public funds, fraud, violations of the Brown Act, criminal conspiracy????? 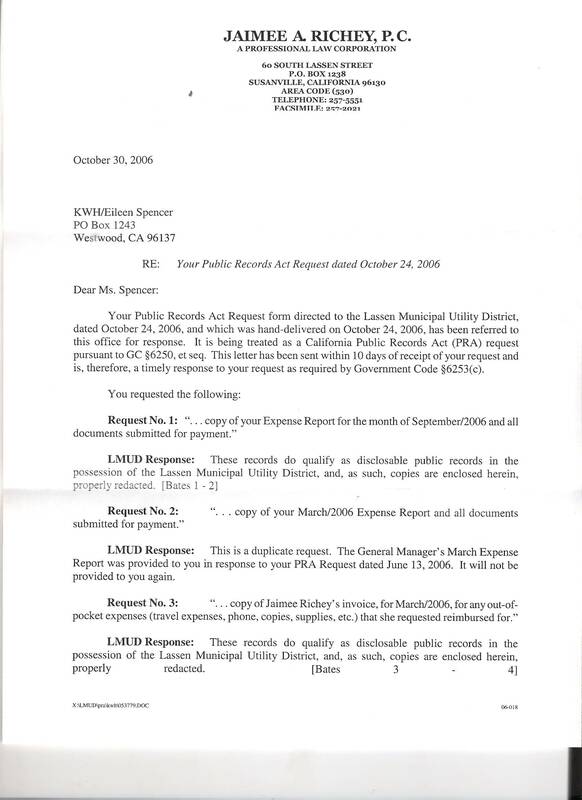 KWH requested Richey's March/2006 expenses and gets her September/2006 expenses. This was a deliberate act. Cady and Richey have been doing this since Richey came in 2002.